The PEER 150 Cyber Attic is an invitation-only event attracting the brightest minds to come together and protect our nation’s companies and economy. 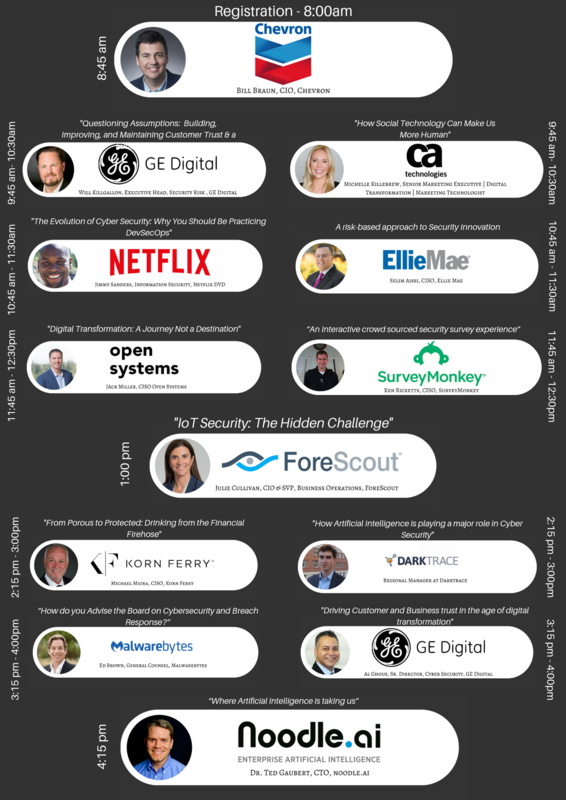 Instead of the typical cyber security IT event, The PEER 150 will bring together the top executives from all functions of the business (IT, Marketing, HR, Legal, Finance, Operations etc.) to network, problem solve, listen to peer presentations, and create actual takeaway solutions on how we can deal with cyber security. We look forward to seeing you on Thursday, September 13th! Centrify delivers Zero Trust Security through the power of Next-Gen Access. The Centrify Zero Trust Security model assumes that users inside a network are no more trustworthy than those outside the network. Centrify verifies every user, validates their devices, and limits access and privilege. Centrify also utilizes machine learning to discover risky user behavior and apply conditional access – without impacting user experience. Centrify’s Next-Gen Access is the only industry-recognized solution that uniquely converges Identity-as-a Service (IDaaS), enterprise mobility management (EMM) and privileged access management (PAM). Over 5,000 worldwide organizations, including over half the Fortune 100, trust Centrify to proactively secure their businesses.